Simply choosing the right event lighting to fit your desired theme and ambiance can change the entire feel of any space. This incredibly underestimated part of any event is capable of transforming an event space into something truly unique. 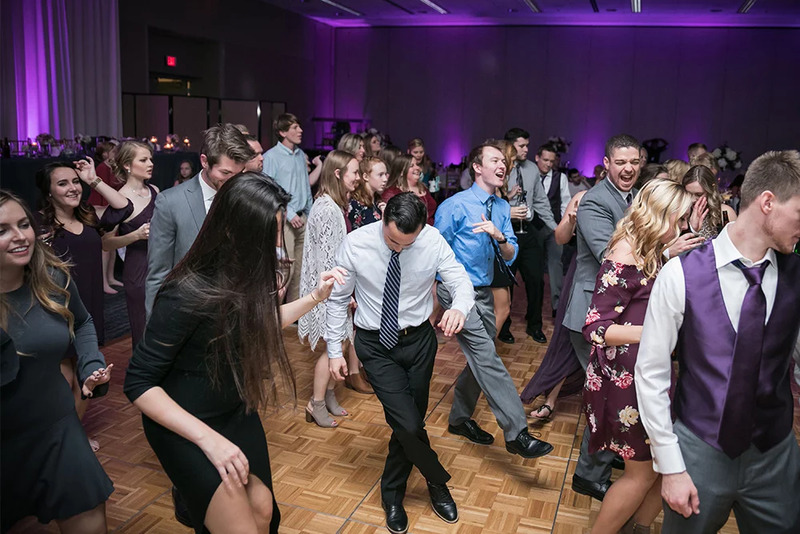 Complete Weddings + Events can help you make that transformation and create an experience your guests will never forget. When planning any event, you are faced with a ton of things to consider, and many times event lighting rental doesn’t even make the list. Lighting is the most affordable way to completely change the feel of any room, allowing you to quickly set the tone for your event. Event lighting is all about letting people see the beauty of what they are celebrating. By strategically lighting certain areas, you are able to draw your guests’ eyes to important areas or entertainment, or create a subtle glow to infuse the space or create drama where there is lack of interest. 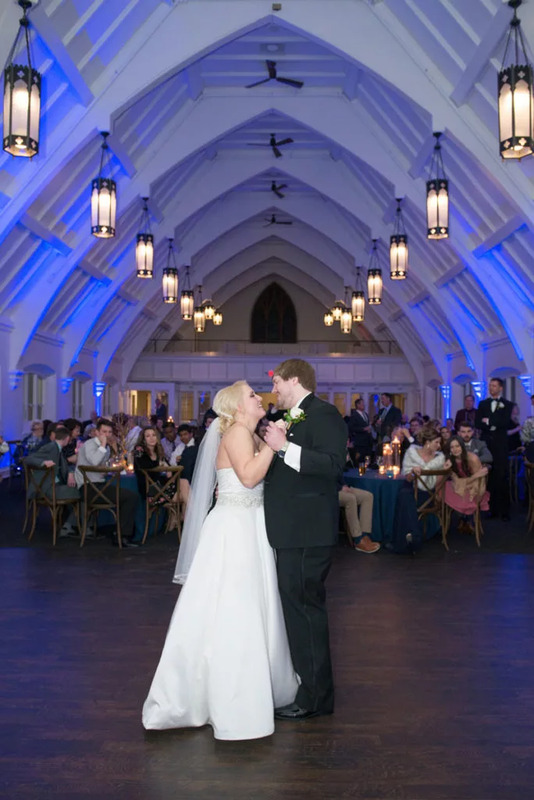 You are spending so much time and effort in creating the perfect event, but without the proper event lighting, many of those details may be lost in the dark. Many venues are dark during the day, and even darker at night. In addition to the guests not being able to enjoy the event because of the shadows, a dark venue can create problems for the other vendors. A lack of lighting will affect how they can do their jobs. 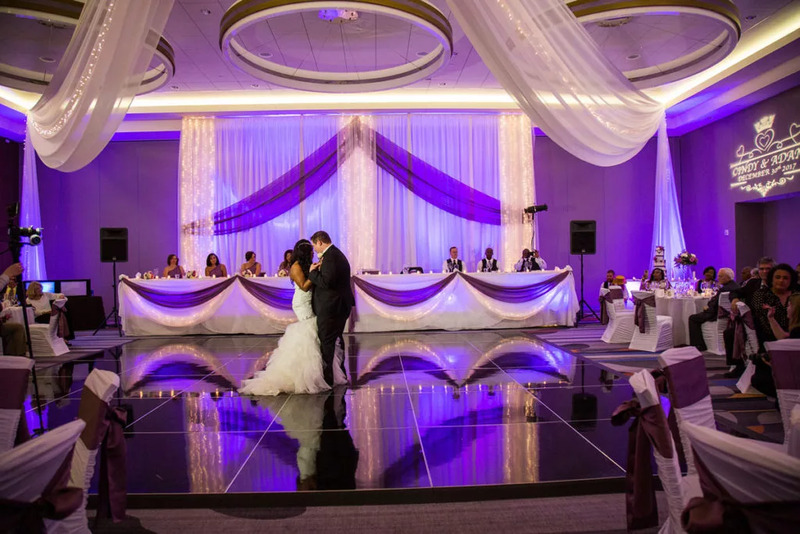 Complete Weddings + Events knows how to create the perfect balance of light and dark so that you have the ambiance you want with the lighting you need. What Kind of Lighting Options Are Available to Me? Uplighting shines light upward, offering a beautiful glow against walls. This is perfect for enhancing the architecture of a space or to warm up a dark space. Under lighting is light placed under a table to illuminate the table and space around it with an ambient glow. 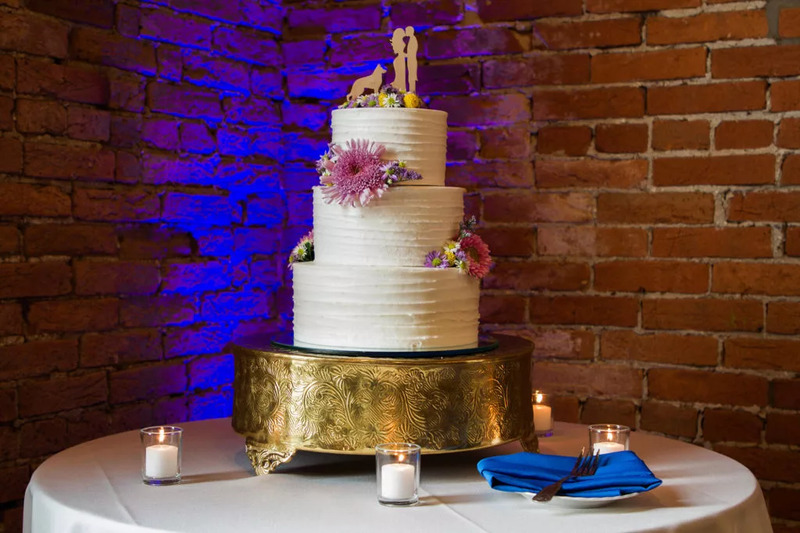 This is perfect to highlight cake tables, bars, and other tables of interest. A color wash is a unique way of adding some drama to any space. Using colored LED lights can wash walls with color to coordinate with your theme and to capture the ambiance you are looking for. 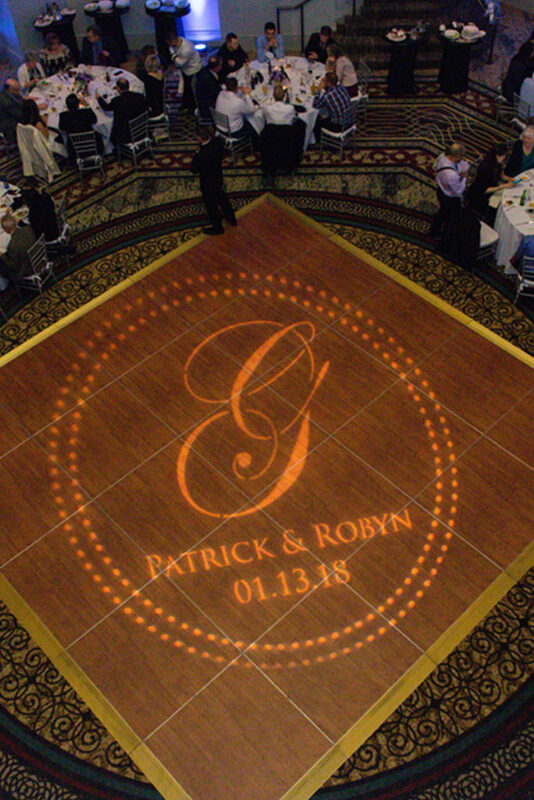 GOBO lighting is a custom option that allows a monogram, wedding date, or another cut-out image to be shown in a space. 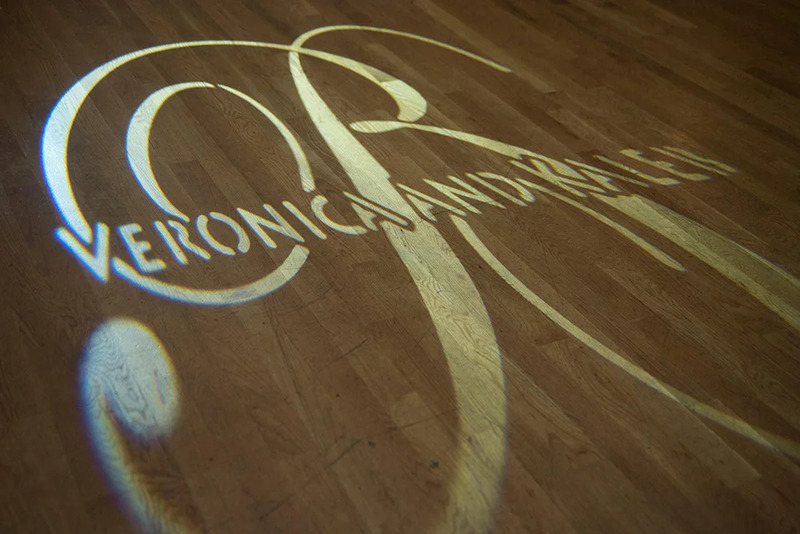 These are used on dance floors, walls, even the ceiling of your event. They are truly a unique lighting option that can a lot of detail. 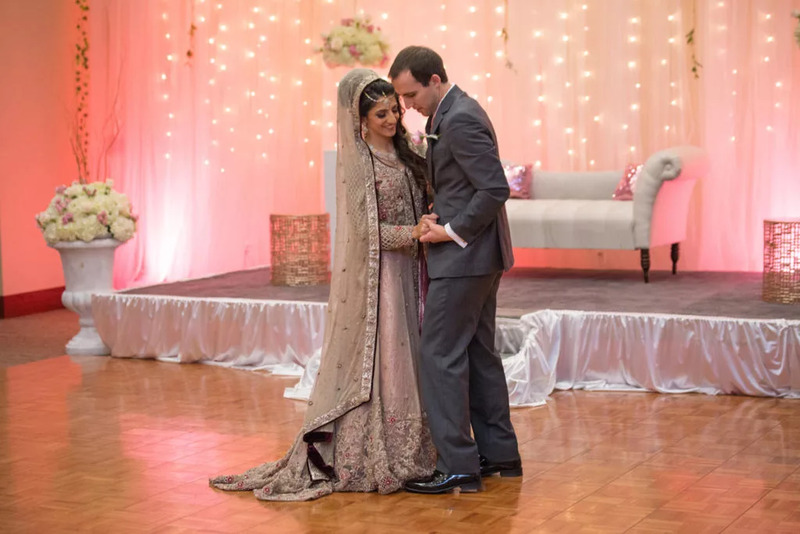 How Can Complete Weddings + Events Help? 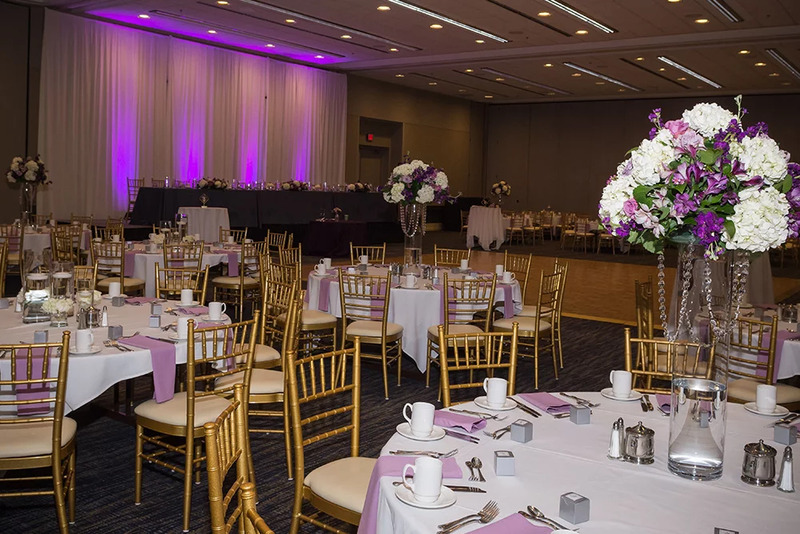 We understand that lighting is essential and can be intimidating to consider when there are so many options—that’s why we are here to help you with all your event lighting needs. We offer complete event lighting rental packages that will achieve the right look for your event. We don’t just help you with your lighting plan, either—we’ll set up and tear down all the lighting, allowing you to be amazed without worrying about the technical end of it. 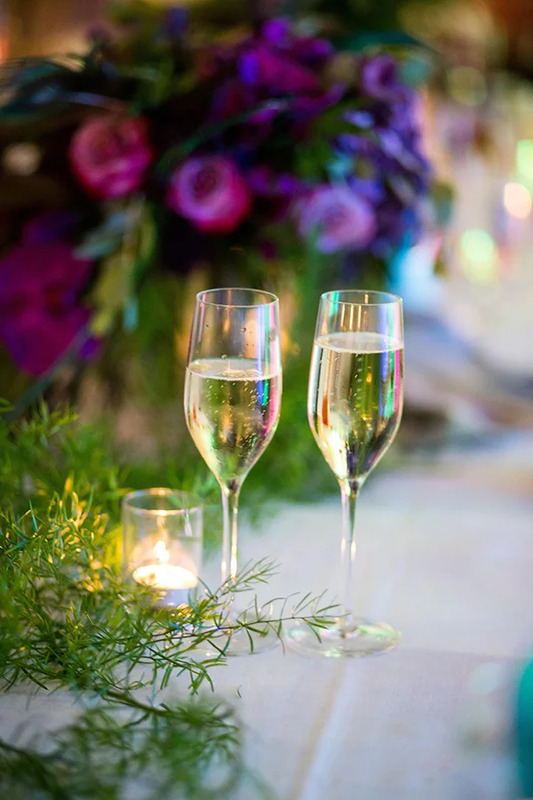 Our experts are trained to know just what your venue will need and how to make that happen. Not only that, but they can work with your vendors to assure you that the lighting is perfect for everyone. Event lighting works with all the areas of an event, and we do, too. If you need help planning other aspects of your event, contact us. 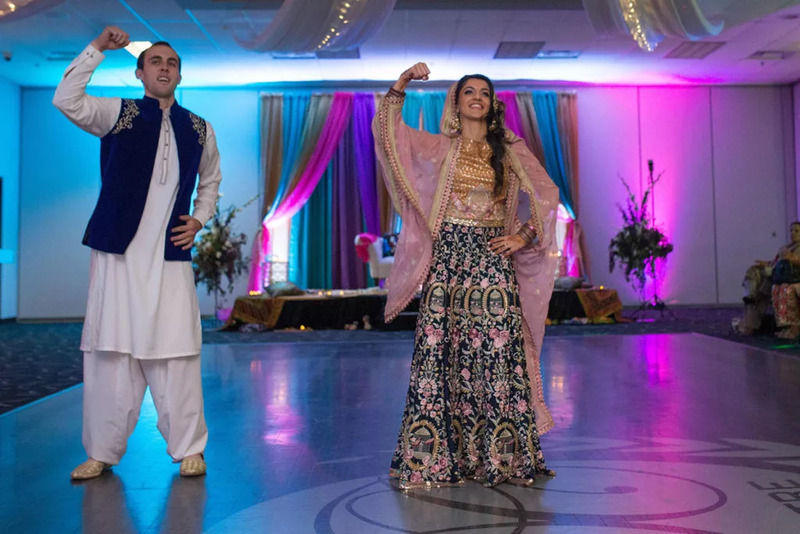 We can assist you with photography, videography, your DJ needs, and even photo booth rental. The event of your dreams is one click away, and we can’t wait to be a part of it.